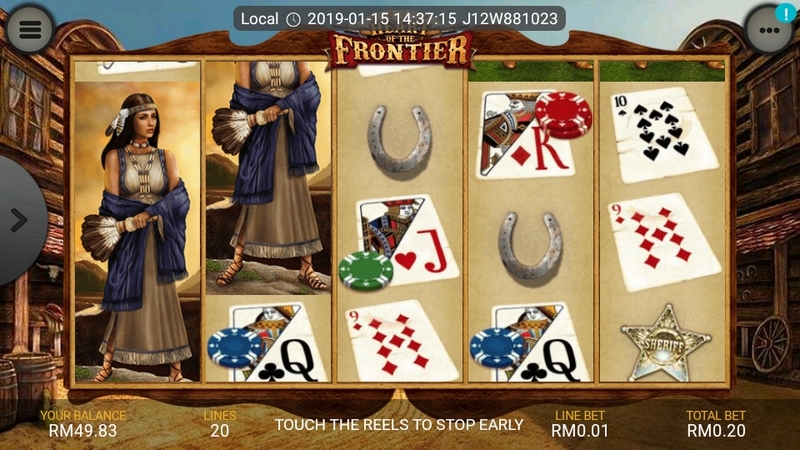 Frontier's heart plays on five reels, with a total of 20 paylines and a coin value, which can be adjusted from a minimum of 0.01 per line to a maximum of 5.00. 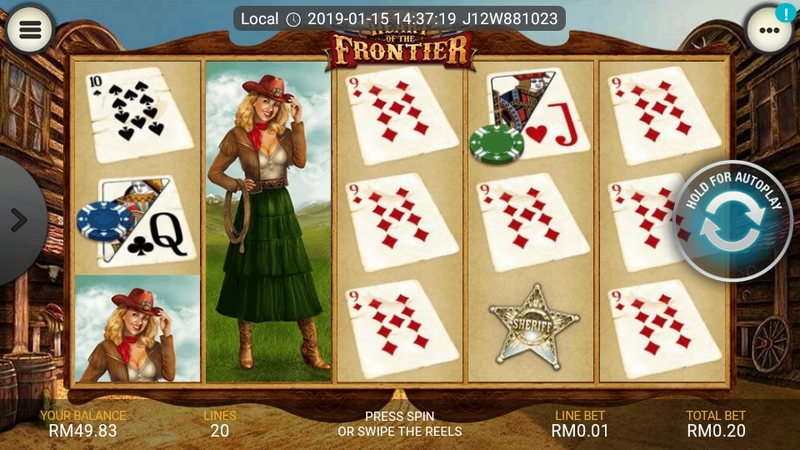 This provides a total maximum bet of 100.00. There are different wild symbols on the reels, the standard wild plus the sheriff and the robber wild. 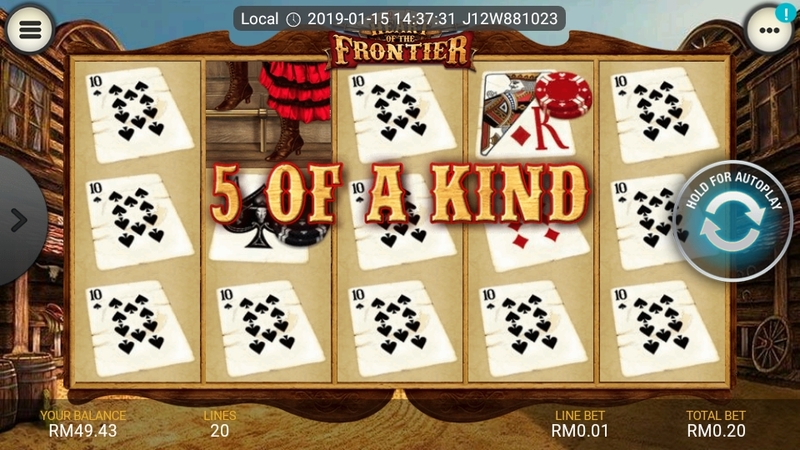 "The Heart of the Frontier" is the symbol of the highest value, paying 500 for five games and as a wild double. 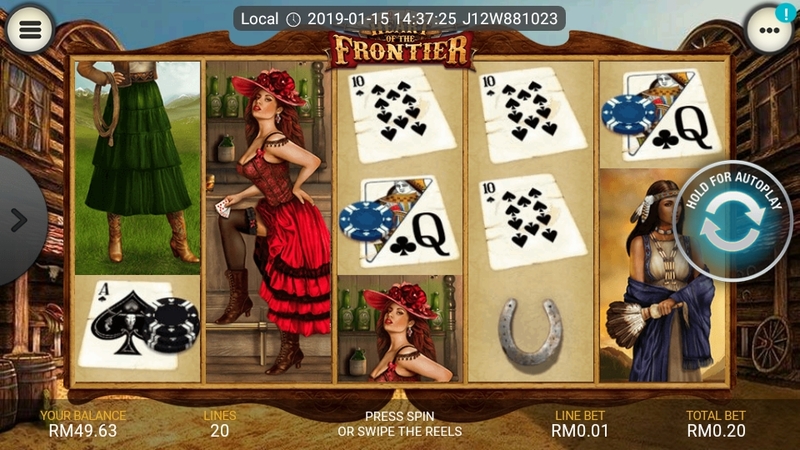 You'll also find horseshoes, sheriff's badges, and cards and poker chips.